Discussion in 'PlayStation Central' started by Chalryn, May 25, 2014. As a preface of sorts... I've noticed a few of you on here are already well aware of this game, but I figured I'd share a post I made on a forum I used to attend, just for the sake of sharing some info on the game and perhaps inspiring an interest in others to try the game out sometime. Now, as I said, it's an old post, so some of the details may be a bit dated (as far as my personal choice of words and such go), but... frankly, it's a big post, and I just can't be bothered to go back and edit it all, heh. So I'm just gonna copy it word-for-word (more or less). From right to left, these are the entrances to the Beetle, Dragonfly, Spider, and Moth forests. 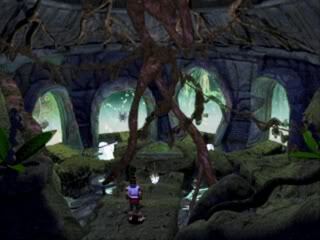 Of course, your first visits will be in the Beetle Forest and you'll progress toward the left. (By the way, there's more than just going to each of these forests, but that's story-related, so I'll leave that up to you to discover.) 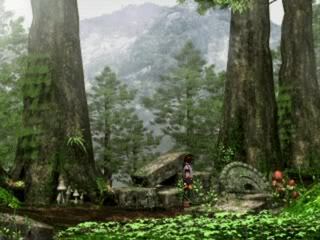 To enter each of these forests, you'll need a key, which you will obtain through story events, of course. Now, before we move on to the forests themselves, let's take a look at your menu. Ignoring the minions for the time being, let's just look at the main character. Fireflies: Minions you've captured and haven't purified back in town yet. Use: Inventory. Use Mugworts to heal yourself and Liquors to heal your minions. Detail: Check your character's stats out. Much of this is obvious, but I'll explain a few things on this screen. 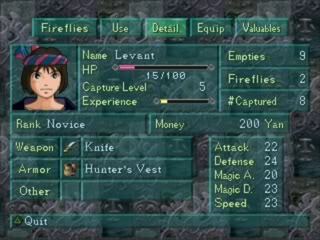 Capture Level: Basically the only kind of level your character has. While his stats are affected by equipment and stat-boosting items, his Capture Level will increase by capturing minions. The higher their level, the more difficult it will be to capture them, but the more EXP you will gain by doing so. Empties/Fireflies/# Captured: "Empties" are how many attempts you have left to capture minions. Can't capture any minions if you don't have any cocoons to hold them in. "Fireflies" refers to how many minions you've captured so far. (Go to the 'Fireflies' menu to view them.) "# Captured" refers to how many species of minions you've captured in total. 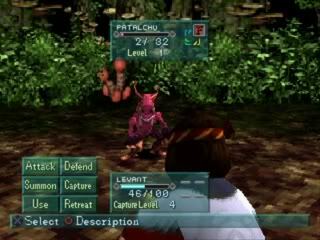 Equip: View and use weapons, armor, and accessories. Weapons will allow you to damage minions yourself and sometimes have additional effects such as elemental damage or status effects. Armor is just armor, although some may have resistances or affect your speed. Accessories have various effects -- usually stat boosts or resistances. Valuables: "Key Items," basically. Most of these aren't important, though you may find some tablets along the way, which will explain how various things in the game work. 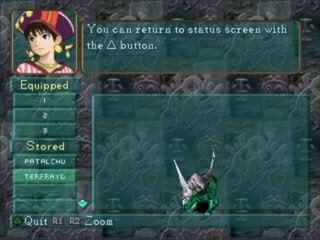 Your main reason for coming to this screen, though, is the Hunter's Earring; an item you'll receive early on, which allows you to warp out of the forest, back to the Forest Gate area, enabling quick travel back to town. The battle setup is pretty standard. Attack, Defend, Use an item, Summon a minion, Capture a minion, and Retreat. Self-explanatory, right? So I'll move on to the minions' battle menu. Attack: Physical attack. Nothing special here. Defend: Reduce damage from attacks while replenishing a small amount of mana. 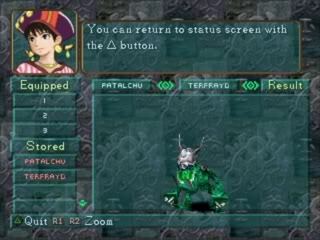 Special: Special attacks. These will usually -- but not always -- be elemental. 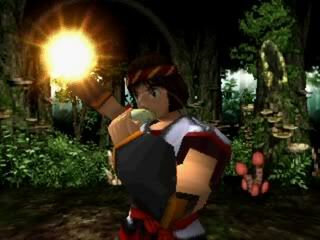 Some may have status effects or other additional effects, and some will basically just be like physical attacks. Every type of purebreed minion has a preset Special list, as well as Magic list (I'll get to that in a moment), so in order to change these lists, you'll have to do some experimenting with merging. 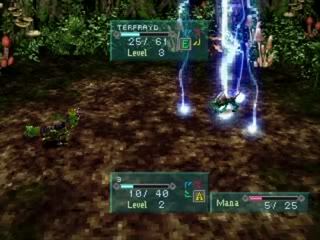 Anyway, special attacks will cost mana according to what kinds of effects they have. 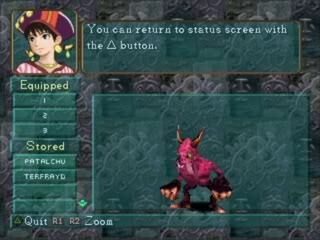 The thing that's particularly interesting about these special attacks, however, is that, well, as you'll see in the game, there are five types of them: Horn, Fang, Claw, Tail, and Legs. What makes these types special is that each type of minion will have a sort of affinity with these types. For example, minions with long horns will specialize in Horn attacks, and will actually do more damage than minions with short horns. 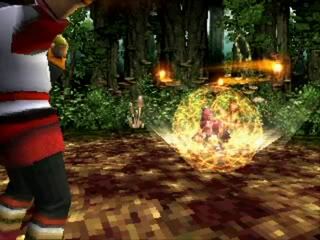 The damage output of special attacks is determined by these kinds of factors, as well as the minion's Attack value. Magic: Your typical spells. Elemental damage, sometimes to multiple targets. Status effects, healing... That kind of stuff. Damage/healing output is determined by the minion's M Atk value. Now, in this case, we're lucky enough to see opposite elements merged. This means each of the purebreed parents' elements are reduced by... probably about 25-33%. This means that elemental attacks will be less effective than if they were used by a purebreed, and elemental defenses will be weaker as well. However, your merged minion will now be able to wield multiple elemental powers. On a less important note, elements will affect the color of your merged minion as well. Purebreeds, of course, will retain their respective colors. I'm not sure about opposite elements (with Patalchu and Terfrayd above, both combinations resulted in a green minion...), but opposing elements will sort of mix. For example, red (fire) and yellow (air) will mix to make a sort of orange-ish minion. I suppose that's pretty much it. As I suggested above, the merging system is probably the most fascinating thing about the game, considering how many factors are taken into account, but all in all, while the overall game may not be anything outstanding, I've always considered it a bit of an overlooked gem -- entertaining and with a few nifty features that I think make it worth checking out. The soundtrack (composed by Kimitaka Matsumae) is pretty nice, the character designs and anime cutscenes are products of Studio Ghibli, and the overall setting and story of the game just give a sort of unique feeling to the game. If you've read this and it seems interesting to you, I'd certainly recommend looking around for a means to play it sometime. Oh, by the way, from the game's main menu, there is a competitive multiplayer mode, in which you can load the rosters of two save files (or just load the same one twice) and battle a friend. May the best Cocoon Master win. Thanks for the review, i'd actually never even heard of the game but it sounds nice. Thanks. What a post! Great job @Chalryn. 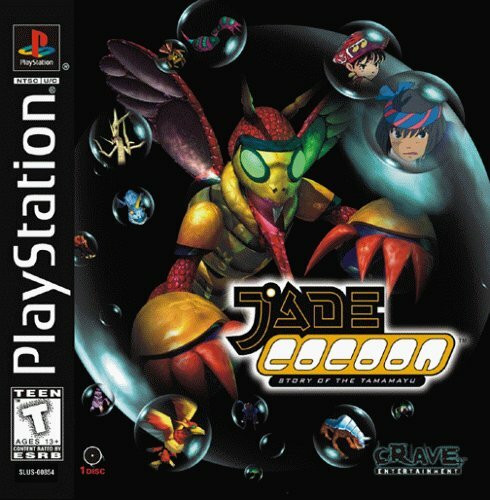 Never got a chance to play Jade Cocoon on PS1. Would you like me to move this to the reviews section? Or would you like to consider it as not a review? Yeah, as I said in the post, it's not quite a review, which was why I posted it here instead of the reviews area. So here works fine, but thanks. ^^ Glad the post could be informative. Kudos on this. 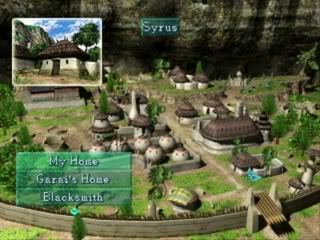 Very fond memories playing this game. I even revisit it from time to time. Great title.